USA – While 2017 was certainly a banner year for RCA Records Nashville recording artist Chris Young, with his seventh studio album Losing Sleep debuting at No. 1 on the Billboard Top Country Albums chart and his induction into the membership of the Grand Ole Opry, the Grammy-nominated artist has kicked off the new year with a massive sold-out arena headlining tour. 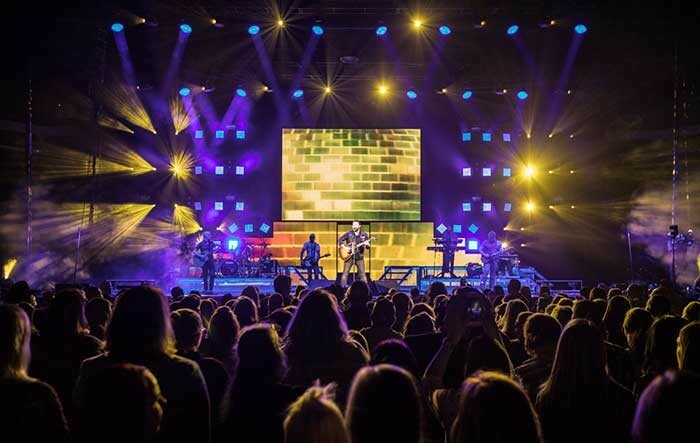 Lighting designers Chris Lisle of Chris Lisle Lighting Design and Mike Stanley, production manager, crafted the “Chris Young Losing Sleep 2018 World Tour” rig with a lighting package provided by Bandit Lites. They collaborated to create a hybrid of Young’s 2016 lighting design, which consisted of two overhead trusses and upstage tormentors loaded with Robe Pointes, Ayrton MagicPanels, Martin Atomic Strobes and Elation CuePix Blinders, and 2017’s floor pack that utilised the torm components alongside and blasting through a pyramid of video panels. 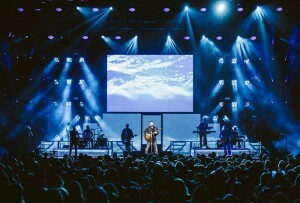 “Now the rig has evolved, combining the two designs, and adding in some more fire power overhead with a mid-stage truss, nearly doubling the fixture count from the original rig,” Stanley said. A new addition to the rig is the dynamic Clay Paky B-Eye K20, a fixture Stanley saw in action over the summer, and was blown away by the kaleidoscope effects. “I’m running them in shapes mode, and the built-in macros combined with the effects are awesome,” he said. The B-EYEs also provide one of Stanley’s favourite moments in the show, albeit it lasts only seconds, proving that he doesn’t need long to make a statement. With the first six weeks of the tour sold-out, thanks to the excitement and demand from fans, Chris Young has already announced a second extension of tour dates into September, including the Platinum-selling entertainer’s first-ever home town headlining show at Bridgestone Arena. In addition to Bandit gear, the tour also includes two grandMA2 Lights, three NPUs and a catalyst driving content provided by CLLD. consecutive chart-topping singles. A prolific creator, Losing Sleep is Chris’s third project in less than two years and the title track is his eighth No. 1 as a songwriter.